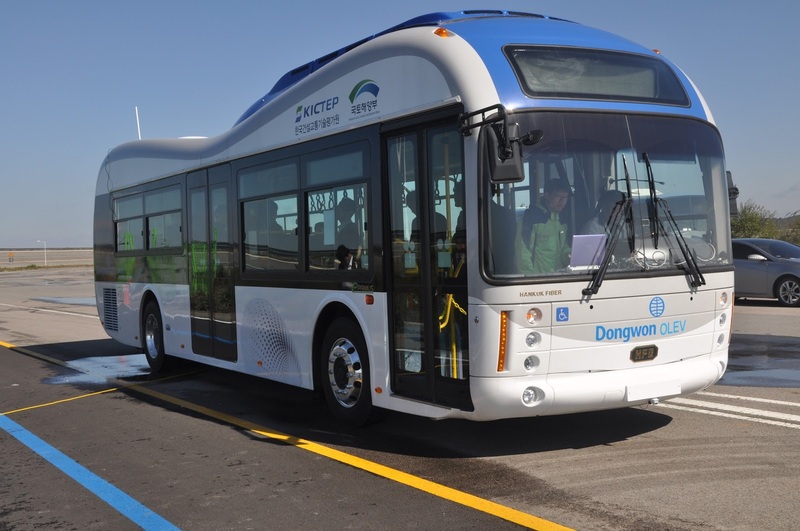 Two cordless rechargeable Hyundai battery electric buses have been put in service this week in a pilot program in Gumi, South Korea. OLEV receives power wirelessly through the application of the "Shaped Magnetic Field in Resonance (SMFIR)" technology. 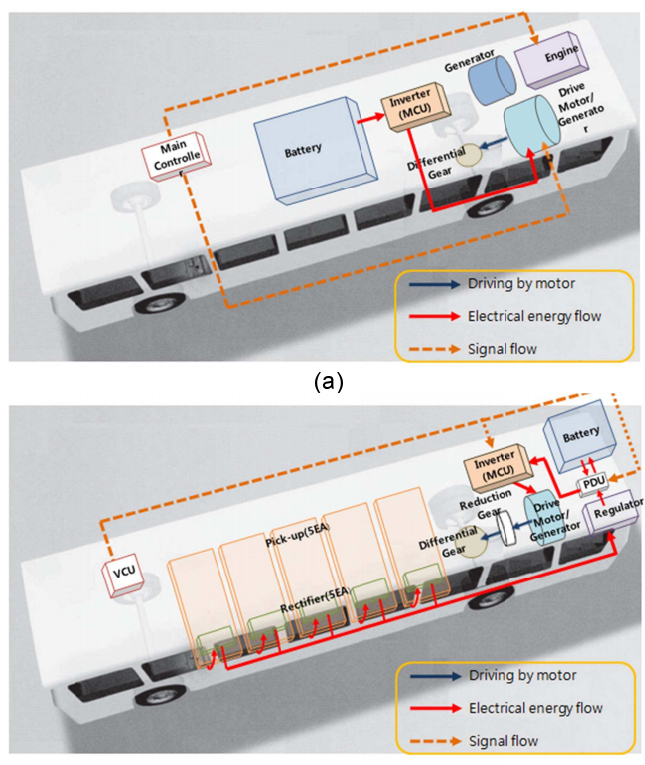 SMFIR is a new technology introduced by KAIST that enables electric vehicles to transfer electricity wirelessly from the road surface while moving. Power comes from the electrical cables buried under the surface of the road, creating magnetic fields. There is a receiving device installed on the underbody of the OLEV that converts these fields into electricity. The length of power strips installed under the road is generally 5%-15% of the entire road, requiring only a few sections of the road to be rebuilt with the embedded cables. OLEV has a small battery (one-third of the size of the battery equipped with a regular electric car). The vehicle complies with the international electromagnetic fields (EMF) standards of 62.5 mG, within the margin of safety level necessary for human health. The road has a smart function as well, to distinguish OLEV buses from regular cars—the segment technology is employed to control the power supply by switching on the power strip when OLEV buses pass along, but switching it off for other vehicles, thereby preventing EMF exposure and standby power consumption. As of today, the SMFIR technology supplies 60 kHz and 180 kW of power remotely to transport vehicles at a stable, constant rate.